 Opera Web Pass is the service introduced by Opera that lets you enjoy free internet for a limited time sponsored by various operators and advertisers. Earlier Opera and Idea Cellular teamed up with Quikr who sponsored for mobile data to use free internet on Opera via Idea connection in India. 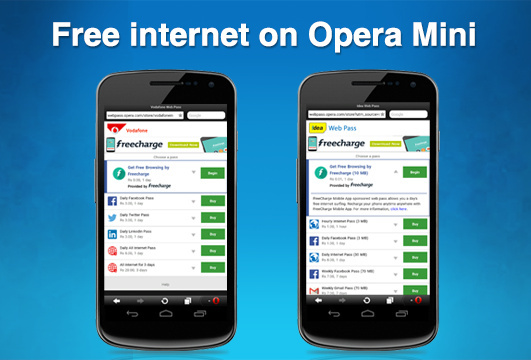 Now FreeCharge, a leading online platform for recharge has teamed up with Opera to provide free internet for Idea and Vodafone users in India via Opera Mini web browser. So looking to use free internet on your device via Opera Mini web browser, here we shared the easy tutorial. “Sponsored Web Pass gives operators a unique channel to partner with the advertisers and content providers who are already driving traffic across their networks, and helps both parties to participate in monetization of that traffic,” said Nuno Sitima, SVP of Business Development at Opera Software. “This is an excellent way for operators to bring new users onto the mobile internet while introducing them to new, easy-to-understand data packages,” stated by Opera. Opera Mini is one of the fastest Web browser for quick surfing on internet. The software is available for various platforms like desktop PC, smartphone or tablets. For free internet on your device, just open the Opera Mini browser and go to the speed Dial start screen. To get access to free browsing by FreeCharge, just click Idea Web Pass / Vodafone Internet Pass. That’s it! Enjoy Opera Mini Free internet access up to speed of 5MB on Vodafone and 10MB on Idea Cellular network for an entire day. Shared your experience with the Opera Web Pass service of using free internet on your devices.